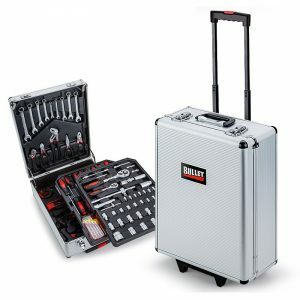 Have every odd-job and task around your home covered with the NEW Bullet 416 Piece Tool Kit Trolley Case. 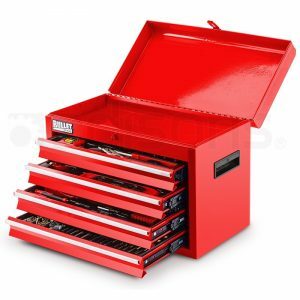 This comprehensive metric tool kit comes with a huge assortment of practical tools ranging from sockets and pliers to a hammer and glue gun. Made from high-quality chrome vanadium, these are dependable and enduring tools that perform to an exceptional standard. 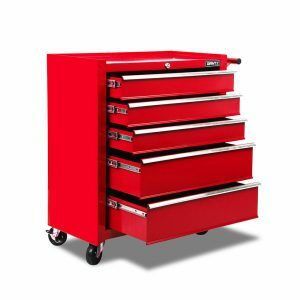 The case itself is built with a firm and durable corrugated design to withstand any knocks that may occur during the course of work or transport. 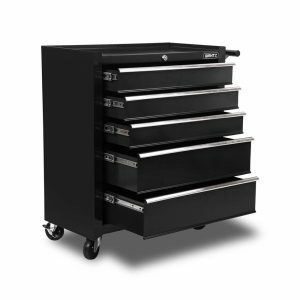 The tools are fitted in four secure removable blow moulded inserts layered within the case. Both its carry handle and telescopic handle coupled with the roller wheels allow for effortless transporting. 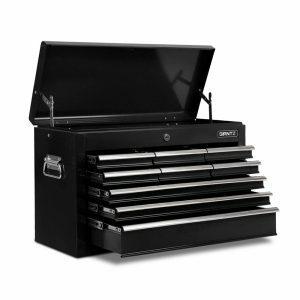 Dual lock and key latches secure the case, with two keys included. This all-inclusive compact unit contains an incredible 416 pieces and fits discreetly in any room of the house.